This post is in partnership with General Mills and Box Tops for Education. All thoughts and opinions are honest and my own. Did you know that there's a way to ensure that our schools are receiving much-needed funding while also benefiting your own family at the same time? It's the nation's largest school fundraising program, Box Tops for Education! A General Mills program, Box Tops for Education began as an experiment on boxes of Cheerios in California with first year earnings of $1 million. 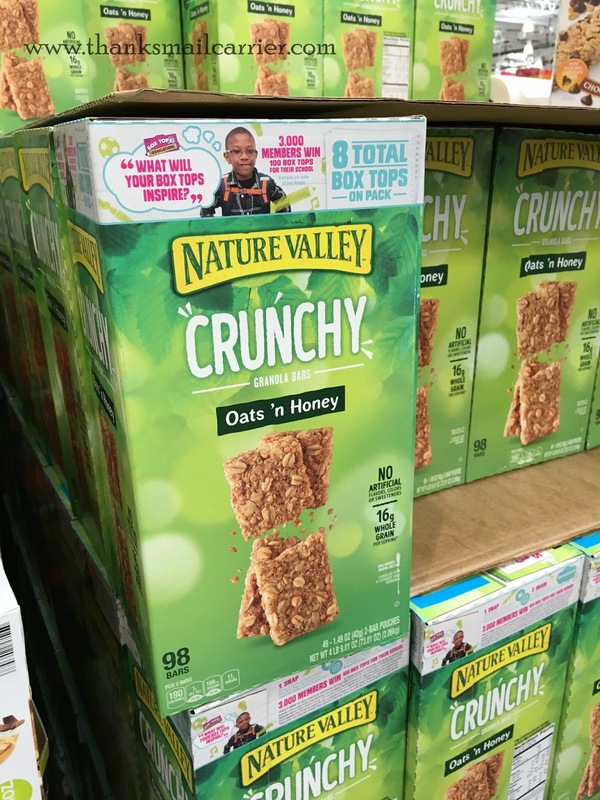 Since then, it has grown to include hundreds of participating brands (along with General Mills, others include Ziploc, Kleenex, Lysol, Finish, and more) providing $840 million to more than 70,000 enrolled K-8 schools. Pretty amazing, right? We make sure to clip each and every single Box Top that we can on our General Mills products (I have found that having a designated Box Tops baggie makes it so that my husband and kids know exactly where to put them) and I absolutely love knowing that such a simple act can have such positive results. We hand our baggie in to the PTO Box Top Coordinator at our school, she mails them in, the school gets a check. What could be better?! Actually, we were excited to hear that right now there is another reason to be pumped up about Box Tops: the Inspire Imagination Box Top program! I have no doubt that Box Tops are already helping inspire children all across the country, as what school couldn't use a little extra money? That funding may go to field trips, gym equipment, technology, books, art supplies, musical instruments, enrichment programs, game days... the list goes on and on! Take a photo of how Box Tops for Education inspires imagination in your child(ren). Share your photo on Twitter or Instagram using #InspireContest and be sure to follow @BTFE as this is how the winners will be notified. Sit back and hope to be one of the 3,000 Costco members that each will win 100 Box Tops for their school! 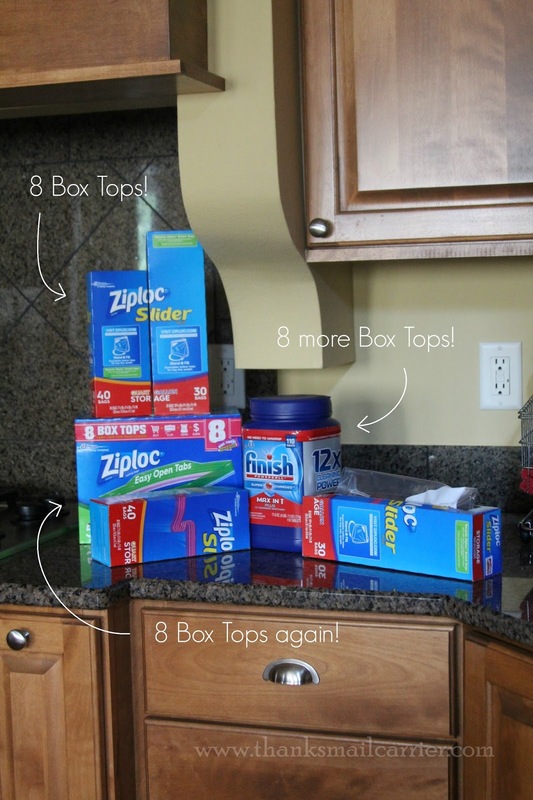 The combination of Box Tops and Costco is a perfect match, as not only do families such as mine shop at Costco every week to stock up on the products and brands that we trust and use regularly, but we score even more Box Tops with our purchases. 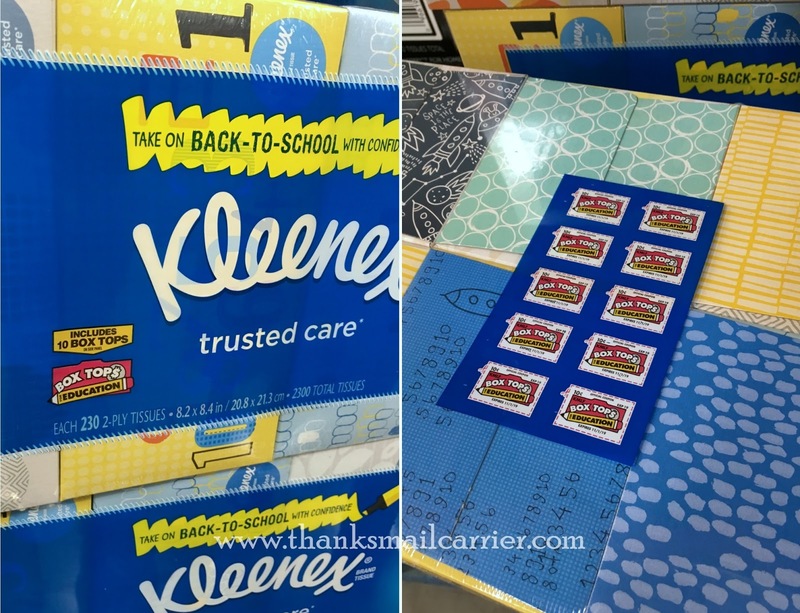 For instance, instead of picking up a single box of Kleenex at the store and being able to clip one single Box Top, we can buy a bulk pack at Costco and end up with 10 Box Tops instead! With preparations for back to school underway, there's no doubt that I have been shopping at Costco even more than usual lately. There is nowhere else that has everything that I need for all of our lunch-packing supplies at such great prices! Along with picking up the food items that my daughters love in their school lunches (as well as to have for breakfast, dinner, snack, and pretty much anytime, as they are constantly eating), on my recent Costco visit I also stocked up on a few of the supplies that are necessary to keep our kitchen running. Now I can rest easy knowing that I won't open the baggie drawer to find it empty or, even worse, prepare to run our dishwasher and have no detergent for it. Instead, we'll head into September ready to go... and with tons of extra Box Tops in our stash as well! If you aren't already collecting Box Tops for Education, now is the perfect time to start — particularly with the great selection of products at Costco! Whether you have children attending one of the participating locations or not, schools can never have too much money to improve their classrooms and programs and our kids can never be too inspired. All it takes is a pair of scissors to snip the Box Tops and make a difference! To learn more about Box Tops visit BTFE.com and connect with them on Facebook, Twitter, and Instagram. 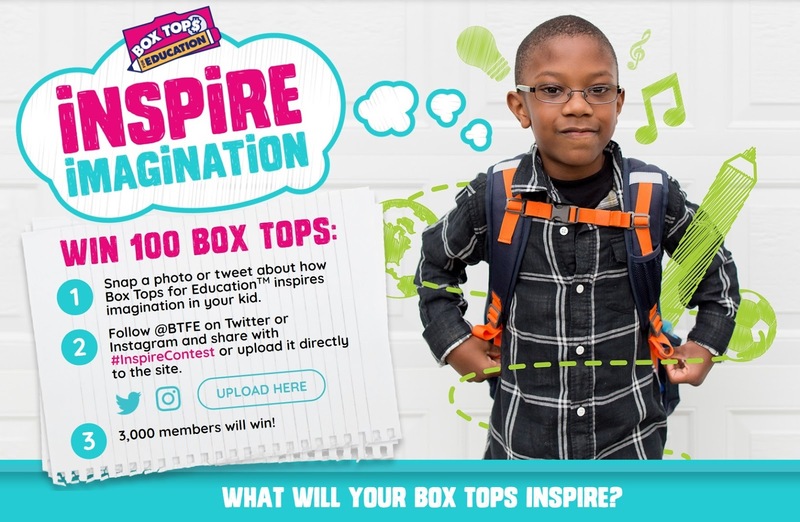 Be sure to also visit CostcoBTFE.com for more information on the Inspire Imagination Box Top Program and enter your photo today!